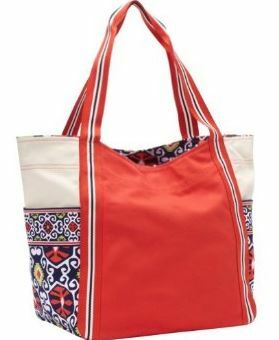 Vera Bradley is offering 40% off their Canvas Colorblock Totes with coupon code CANVAS. The totes are available in both a small and large size as well as several different colors and patterns to choose from! There is also an option for personalization for an additional $8 so you can put your name, monogram and more on the front of your bag. The totes, regularly $50-$68, will be $30 to $40 after the coupon code based on the size and style. These totes are great to take to school, to the beach or outdoor activity or just to have for everyday use! Shipping is $5 or FREE on orders more than $75.